Some Internet browsers include the ability to transmit “Do Not Track” signals. Since uniform standards for “Do Not Track” signals have not been adopted, CDW does not process or respond to “Do Not Track” signals. 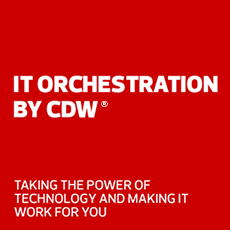 We may retain your personal data as necessary for the purposes described in this Policy, in accordance with CDW’s record retention practices. When we no longer need your information we will, - unless needed to comply with applicable legal requirements or carry out corporate tasks and achieve business objectives - remove your personal data and/or take steps to anonymize it. CDW takes reasonable technical, physical, and administrative steps to help protect your personal data in our custody or control from loss, misuse and unauthorized access, disclosure, alteration and destruction. Where we have given you (or where you have chosen) a password which enables you to access certain parts of our Sites, you are responsible for keeping this password confidential. We ask you not to share a password with anyone or to reuse the same user ID and password on other sites. Except for CDW’s own online activities on third-party websites and online services where we post our Policy, this Policy does not apply to, and CDW is not responsible for, any other data practices of third-party websites and online services or the practices of other third parties. To learn about third-party data practices, please visit their respective privacy policies. You may ask us not to process your personal data for marketing purposes. In some jurisdictions, you also have the right to opt-out of the disclosure of your personal data to third parties for the third parties’ direct marketing purposes. You can exercise your right to prevent such processing by: (i) following the opt-out instructions in promotional emails; (ii) checking certain boxes on the forms we use to collect personal data; (iii) for email marketing, by visiting your account settings here (US) or here (Canada); and (iv) for Catalog subscription, by clicking here (US) or here (Canada). To manage any email or Catalog subscriptions in the UK, please contact us at marketing@uk.cdw.com. You may also make requests about your contact preferences and changes to your information by contacting your account manager, or by contacting Customer Relations (US or Canada). If you opt-out of promotional emails, we may still send you non-promotional emails, such as emails about your accounts or our ongoing business relations. EU data subjects may also contact our Lead Supervisory Authority, the Information Commissioner’s Office of the United Kingdom, with any questions about our privacy practices.